Struggling with Screen/Life Balance? Welcome to the club. When mum Annie Kirby was asked by a journalist to keep a 24-hour digital diary of her child’s technology use, her biggest worry was being judged by other parents. Maybe that’s not so surprising. The gritty realities of family screen-time are rarely discussed even among friends, let alone published online for all the world to see. In Annie’s case, that’s exactly what happened. Her family was one of several asked by HuffPost UK to record their nine-year-old’s digital activity on a typical day. What she discovered was both consoling - and confronting. On the up side, there was the sound of kids laughing uproariously as they played an after-dinner XBox game. 19:00 The laughter that came from the room was wonderful. In all honesty, I always want to join in. On the down side was nine-year-old Flo’s obsession with her own YouTube channel. 11:30 - Announced that she was off to look at stuff on YouTube. After 10 mins (of wondering exactly what on YouTube she was watching) I discovered her back in the office. She was filming herself with her iPod touch watching her own YouTube channel on the iMac. 17:30 - He finished playing the game when dinner was served, which didn’t go down very well. 18:30 - He tried to convince me he should have more time on the XBox after dinner as he’d been working very hard at school! During bathtime, Joe had the laptop balanced on the toilet seat (as usual) so he could watch Tekkerz Kid [a YouTube channel]. Shouted to me to bring my laptop for him as his battery died. Balance. It’s something all commentators pay lip service to - and most parents too. But how to achieve it when you’ve got a child yelling for a re-charge from the bathroom? Kamenetz is a young mum who makes no apologies for integrating digital devices into her own parenting life. (Her recent article defending the practice of combining breastfeeding with Facebooking is a good case in point.) Her mantra to parents is all about ditching the guilt, and adopting a few positive rules around family tech. As Kamenetz argues, healthy levels of technology use are really positive for kids - and can improve school readiness, general cognitive performance and even attention disorders and other learning disabilities. When screen-time becomes excessive, a big part of the problem is what researchers call “displacement” - which is a fancy way of saying the real-life stuff that technology can elbow out of the way. Stuff like conversation. Day-dreaming. Actual sport (the kind that happens without a joystick). Eye contact even. On the other side of the equation, parents who refuse to engage with their kids’ digital activities are truly missing out, Kamenetz insists. It’s a point every cyber expert agrees with - including Australia’s foremost “cyber cop,” Susan McLean. The simplicity is admirable - but also deceptive. Especially the “not too much” bit. And that, notes McLean, is where parental control tools like Family Zone come in. Apps that let parents automate their kids’ online and gaming access aren’t about pulling the plug on technology. They’re about allowing families to enjoy their digital life more. To find that elusive “balance” we all know we need, and too many of us struggle to achieve. 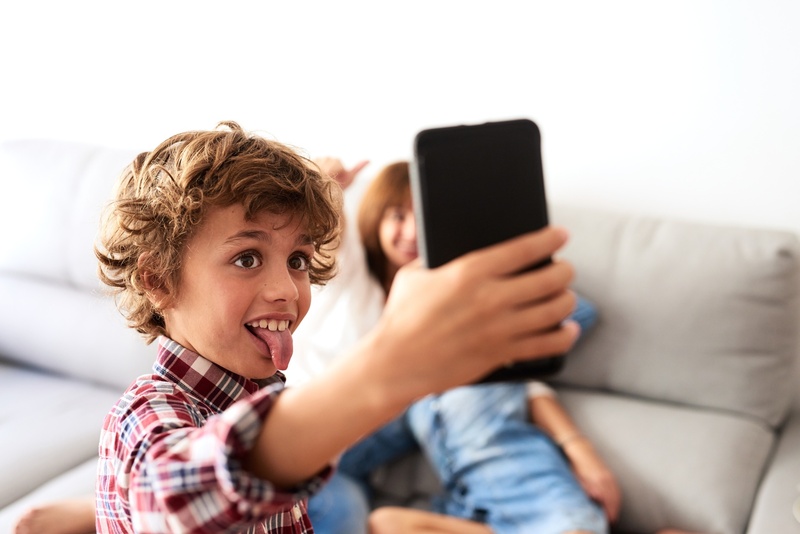 If you agree with Anya Kamenetz that “not too much” screen-time should be a goal for your family, Family Zone can help. Explore our website to find out more!